We should all be lifting heavy things to promote optimal health and longevity. It's just that simple! I don't care what your fitness plan is or what style of training you enjoy the most, if resistance training is not a part of your life then make it part of your fitness program today! Our caveman ancestors would have had an excellent body weight to strength ratio, and for good cause. Living in the wilderness, hunting your own food (usually big game), fending off danger (animals or others looking to hurt you/loved ones), and building shelter would have all required a great degree of strength and would have kept us hard and resilient. Cavemen would have needed to be able to pull their own body weight with little to no effort as well as have a high degree of strength to move external weight just to survive each day. In today's society we may not be faced with the same (if any) challenges our caveman ancestors dealt with on a daily basis, but we are genetically the same as those cavemen we came from. So how can being strong and lifting heavy help provide us with the best quality of life in our modern society. 1. Lifting heavy promotes functional strength: Lifting in patters of motion that we use on a daily basis are best for promotion of functional strength. 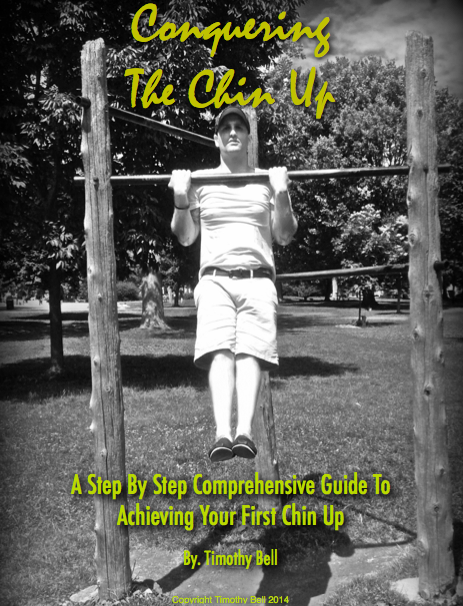 This means total body movements such as the squat, dead lift (getting up off the couch, picking up kids or laundry), chin up, push up, over head pressing (putting away groceries), lunges (any athletic activity), rowing/pulling etc. These are all movements that we use all the time in sports and day to day activities making us stronger in our everyday lives. 2. Lifting heavy helps burn fat: When we lift heavy in total body movements like the ones listed above we burn a lot of calories and promote lean muscle gain. This revs up our metabolism and keeps us burning calories even at rest (our body burns a lot of calories to grow/maintain muscle). Total body movements use a lot of muscle groups, the more muscle we use the more fuel they burn to keep moving (calories). The more lean muscle we have, the more calories we can burn, the more calories we can burn the lower body fat we will have. 3. Lifting heavy helps build lean muscle: Lean muscle is a good thing! It helps give our body a sleek/athletic shape making us fill out our clothes a little better or look great on the beach. It's not very hard to get men to strength train, women on the other hand can some times be a challenge. To all the women reading right now, strength training will not make you look like a bulky man! Take a look at all those fitness models out there, they don't look like men and they lift weights and strength train. To lose body fat and get that lean look (man or woman) you must lift heavy and often! Lean muscle also gives our bones a little extra padding and helps protect us from injury during sports or accidents that can happen in our daily lives. Look better, perform better, and help protect yourself from injury. 4. Lifting heavy has many faces: Lifting heavy is all relative, what's heavy for one person may not be for another and not all training forms work for each person. We have different injuries or availability of equipment. You don't have to run into the gym and start squatting, benching, and dead lifting to gain lean muscle or get very, very strong. 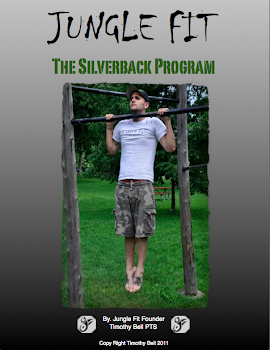 Body weight training has progressions from beginner to elite athlete and can be very challenging/rewarding. Just look at Olympic gymnasts who never lift anything other than their own body weight! They have excellent physiques and tons of strength without owning a home gym. If body weight training isn't your thing then maybe power lifts or Olympic lifting could be for you! Find a qualified coach/trainer and learn the technique. The point is, make your strength training challenging and heavy with great form for best results no matter what style you choose. ... In the next 2 chapters of the Jungle Fit Blog we'll touch on more of how we're meant to move to look our best and move our best. 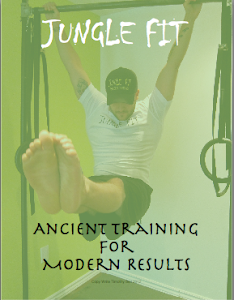 If you're looking to change your life and don't know where to start a Jungle Fit - Boot Camp is a great way to get back into shape or change up your fitness program. 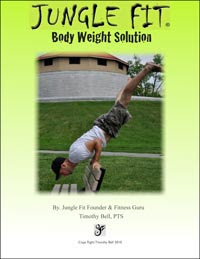 Learn how to move your body and control your body weight, lose body fat, and gain lean muscle.